So what makes a cook tick? What environmental factors, personal history, social interactions (or lack there of), or critical life experiences need to be in place for a person to rise up one day as a cook? Are certain individuals destined to fall into this role, or are people fermented over a period of time, like a cheese that just keeps getting better, until they wind up behind the line putting together some fantastic food? 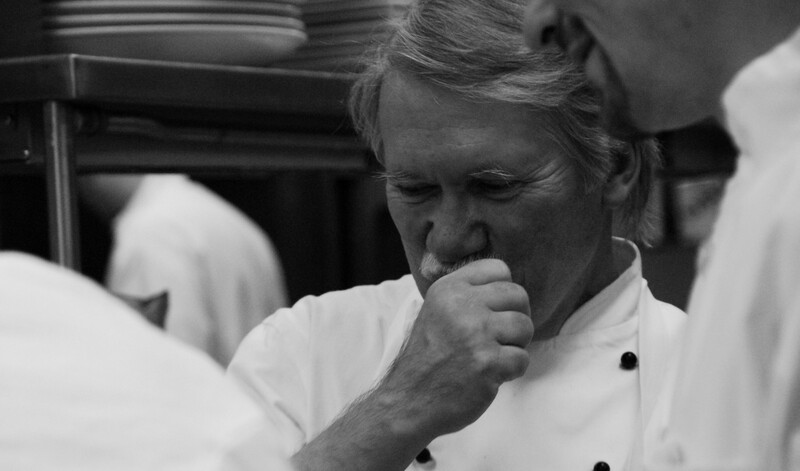 Having been around cooks and chefs since I was 15 years old, I think that I have the background to take a stab at breaking the code and uncovering the soul of a cook. As I attempt to build a clear, succinct picture of these interesting, and sometimes strange individuals, I am struggling to accomplish the task. Cooks are different. Over the past year I have pointed out some characteristics of line cooks and chefs, relegating understanding to a series of bullet point checklists. Looking back, I am not sure that I have done enough justice to the individuals who sweat, burn, and cut themselves daily in an effort to present the public with great food. So, once again, here is an attempt to allow everyone to walk a mile in a cooks shoes and begin to understand why they do what they do and why they are who they are. What the kitchen provides is a neutral ground for people just like them. To these characters life’s meaning can only be realized in the realm of tactile experiences. This is one of the many reasons why people cook. They get to touch their work, to feel the presence of the farmer who grew or raised the ingredients, and experience the result of their work through every plate of food that moves across the pass. 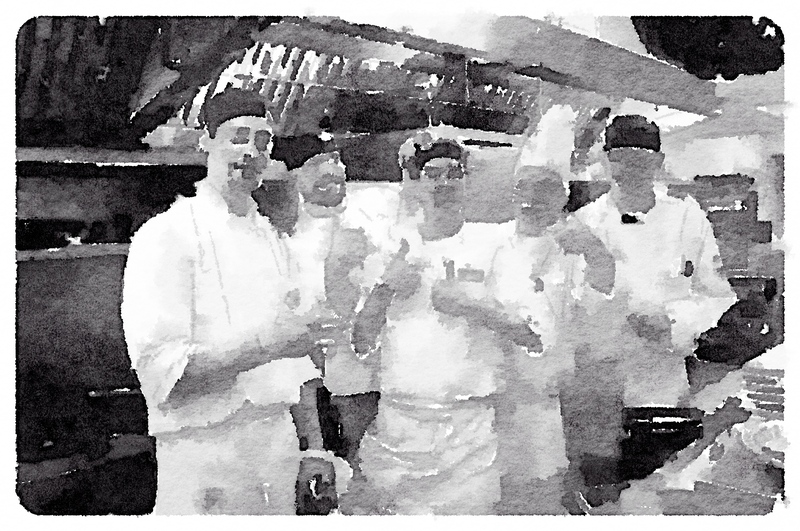 It is fascinating to work in kitchens and learn more, every day, about the people who wear the chefs uniform. They wash their hands fifty times a day, say very little when they are in the cooking zone, do their work with great precision, respect the chain of command, and look out for their teammates during service. The longer you are around them, the more trust is built and the more the layers of hidden stories disappear. This, more than anything else, brings me and others back to the kitchen. Yes, we love to cook, but the longer you work in restaurants, the more you find yourself being intrigued and motivated by discovering the people who you work with. Sometimes the stories that come to the surface are sad and even ugly, others are refreshing and inspiring. Every day you will find that the food and the pressure of the restaurant are physically and mentally draining and invigorating at the same time. You will also find that learning people’s stories can be emotionally draining and invigorating. You will find, as you see what is deep behind those eyes that everyone who works in a kitchen grows through those life experiences of others they call teammates. Miguel who is one of your prep cooks may have migrated from Mexico, eventually getting his green card so that he could earn money to send to his family far away. To support them, he had to leave them. Pierre was born in France, the son of a lawyer whose father fully expected him to follow in a lawyer’s footsteps. Pierre wanted to cook and his family never supported this direction, so he left for the U.S. to pursue his dream. Borisha, who is now your sous chef, came from war torn Bosnia. He has an engineering degree, but escaped from his homeland to avoid the same fate as many family members who lost their lives in political conflict. The kitchen is a safe haven for him. Sherry is the pastry chef, one of the best that you have ever worked with. Her husband was killed in Iraq and now she is a single mom with two young kids at home. You wonder how she manages. The kitchen is a melting pot of ethnicity, ideologies, educational backgrounds, and fascinating stories. Each person is there for different reasons, but the joy of a common purpose keeps them together, drives their passion, allows them to put their stories on the back shelf for a period of time, and occasionally brings out a smile and a bit of laughter. Kitchens are wonderful places, food is an incredibly unifying vehicle, talent is invigorating to watch, but it is the story behind the eyes of each and every cook that makes this environment special. Did I crack the code? Maybe not, but I think that I did peel away a few layers of confusion. Look into the eyes of a cook. The stories are heart wrenching and wonderful.